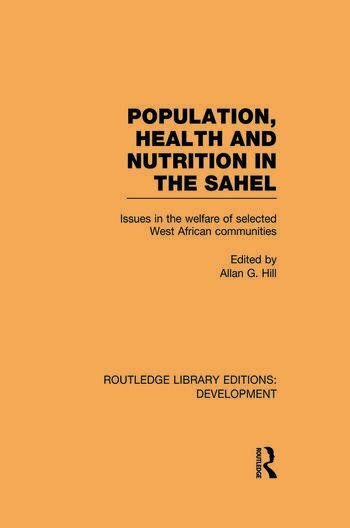 This collection of studies, first published in 1985, describes some contemporary problems of selected pastoral and agro-pastoral communities of the West African Sahel. Several important features of the Sahel are illustrated: the significance of seasonal factors in causing periodic stress amongst people and animals, the economic uncertainty introduced by interannual climactic variations, as well as the role of traditional systems of social and economic organisation in providing some support during periods of need. The findings presented here are published in co-operation with the Sahel Institute, a regional research organisation set up in the early 1970s with representation from eight Sahelian countries – Cape Verde, Chad, Gambia, Mali, Mauritania, Niger, Senegal and Upper Volta.